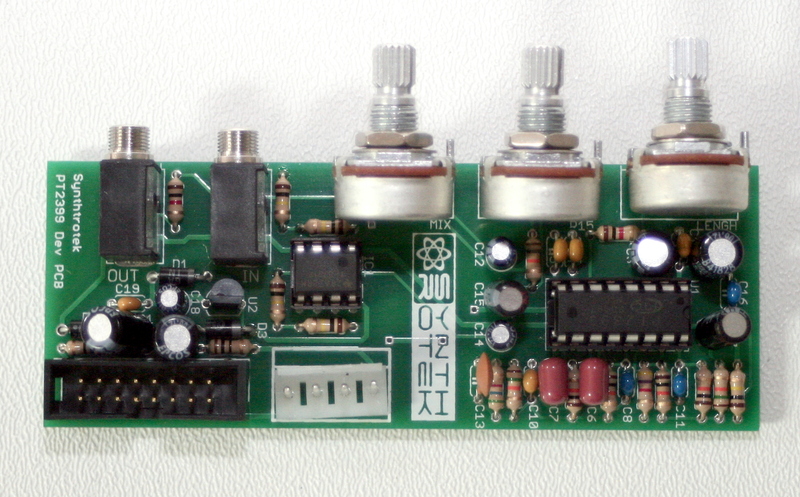 We have here an early release of our PT2399 Delay that will be for Eurorack and Fractional rack cases. This product will be a limited release because the pin layout on the PCB was designed for different potentiometers than what our final version will have, but other than that and two capacitors being located closer to each other than we would like, it functions perfectly! Because this is a limited release we will not be designing a panel to go with it. We will in the future be releasing our finalized design of the Modular PT2399 Delay that will have the correctly sized pots, better positioning of components, and come with a Eurorack panel. 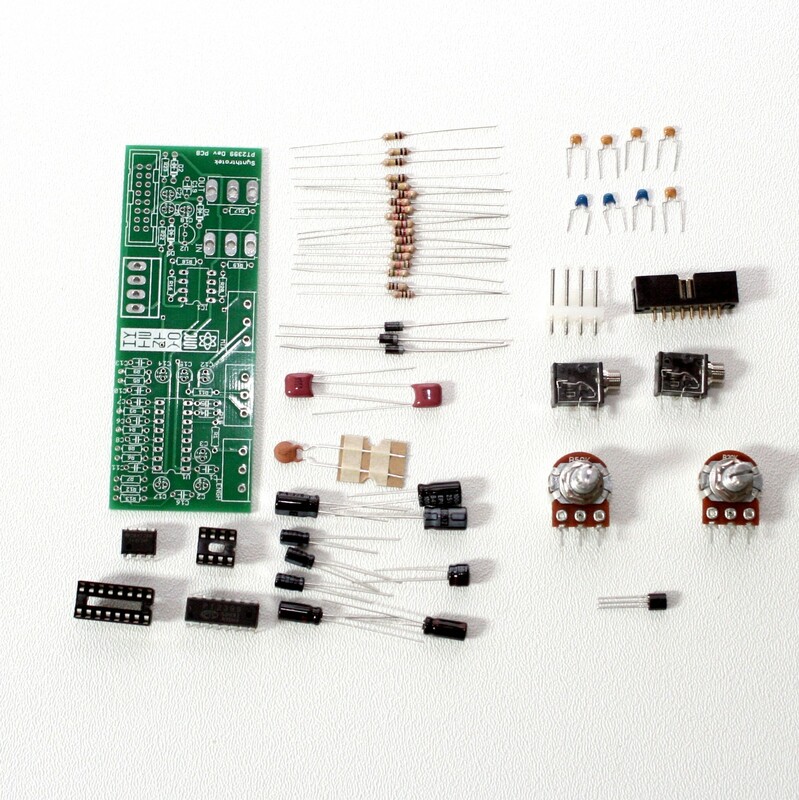 3 potentiometer controls – Delay Length, Mix, and Feedback – to customize your sound. Delay Length adjust your delay from fast slapback echo to long dub-style repeats, Mix allows you to set the wet/dry portions of the signal, Feedback gives you total control over the number of repeats, even allowing infinite repeats. Did you buy just the PCB and having a hard time finding the audio jacks? You can buy them directly from us here!